blending evidence-based medicine and traditional knowledge to look at your health and lifestyle and help you overcome health issues. Treatment may be with herbs, nutrition, probiotics, diet or lifestyle changes. Each consult and treatment will be personalised to your uniqueness and situation. if you or your family just need a remedy for a sudden illness we can put together an acute prescription to get you better. Australian Bush Flower Essences are a totally safe, simple and extremely powerful system of healing that can bring emotional, spiritual and mental harmony. Our emotions often block our ability to physically heal. Unaddressed emotional pain can manifest many years later as a physical ailment. The purpose of flower essences is to develop higher intuition, creativity, spirituality and fun, they also help to resolve drama and distress in ones life. I resonate with and chose to work with Australian Bush Flower Essences as not only does Australia have the highest number of flowering plants, they are the oldest in the world. The land is vast and full of ancient wisdom. Aboriginal people have always used them for emotional balance and the people of ancient Greece, Egypt and right back to the middle ages used their own version. Bush essences are powerful catalysts for helping people heal themselves by turning inwards and understanding their own life plan, life purpose and direction. They also give confidence and courage to follow that plan. They can help give an understanding of why problems and imbalances arose in the first place and what needs to be done to clear them. Bush essences work extremely well on kids as they don’t have the emotional blocks and barriers that adults do. They are also totally safe for pregnancy and can be extremely healing. I find that during pregnancy a womans intuition and higher wisdom is even more developed. The Hair Testing 500 items tests you for bio-incompatibility to 500 common foods (fruit, nuts, alcohol, meat etc) and other items like cleaning products, personal care and supplements. It doesn’t test for true allergies which are an immune-modulated reaction. Instead it looks at items incompatible with you and which can cause underlying reactions over time. We send off a (very) small sample of your hair or saliva, and within 2 weeks your results are emailed which includes a program for you to follow for 6 months at which time you can retest to see which items have corrected and you can reintroduce them. This is a great way to individualise dietary advice. Some (not all) areas getting good results are indigestion, ADHD & behaviour issues, heartburn, skin rashes, headaches. It is non-intrusive so especially good for children and can reduce the need for unnecessary (and expensive) supplements. There’s also extra lists on top of the standard 500 including baby foods, Indian, animals, ALDI, Coles & Woolworths plus country-specific lists. If you don’t want a full consult the test can be done as a stand-alone treatment. It costs $257 plus $60 which covers 2 short consults, first to take the test and why you want it done and the second to go through results. We don’t even need to meet face-to-face, I can send you the kit and we can chat over Skype. Pre-natal/Pregnancy massage has an important role to play as part of your pregnancy support strategy. Pregnant women may suffer from neck, shoulder, back, hip and foot pain due to hormonal changes and the increasing physical load. 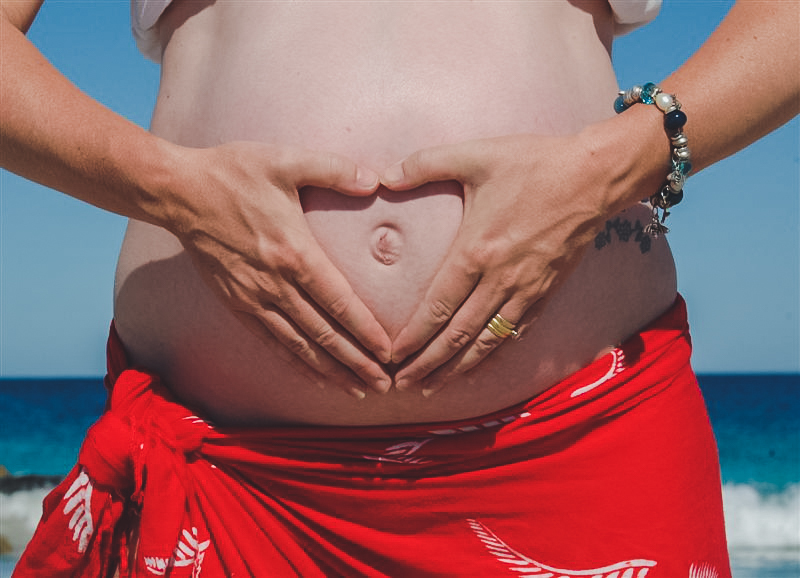 Pregnancy massage can help alleviate tension and pain, headaches, leg cramps, insomnia, fluid retention, stress and fatigue. Or you may just want to feel totally nurtured and relaxed. Massage is safe in all trimesters and this full body massage is adapted to each stage of pregnancy. Your position, table height even the oils are adjusted to suit where you are in your pregnancy and how you feel on the day. No two massages will be the same but will always leave you feeling relaxed and amazing.